16-year-old Simona Kust is the latest in a line of great models who’ve harnessed the power of pink hair. When Kate Moss was 24, she dyed her hair neon pink at the request of Donatella Versace, for Gianni Versace’s spring/summer 99 show. 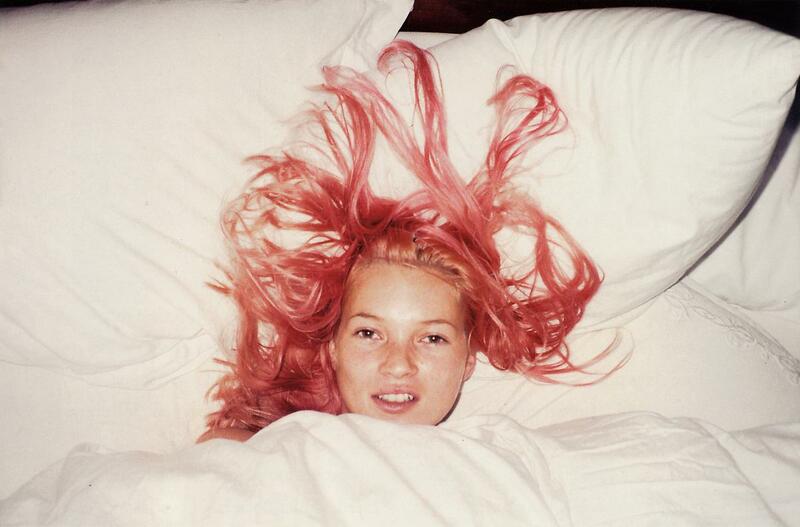 A few days later, Juergen Teller captured Kate lying in bed, covers up to her chin, her shock of freshly-dyed pink hair strewn across the pillow beneath her. But much to Kate’s disappointment -- she revealed some years later -- that same day she dyed it back to its natural colour at the request of Calvin Klein. Such is the life of a supermodel. 20 years later, and Simona Kust, a fresh faced Muscovite scouted earlier this year, did the same at the request of Anthony Vaccarello. “We dyed my hair pink this summer at a salon in Palermo for a Saint Laurent campaign,” she explains. “Now I feel like pink is my natural colour. It’s definitely made me feel more punk!” A couple months later, and Simona was walking on water, literally, as a Saint Laurent exclusive in their epic spring/summer 19 show. 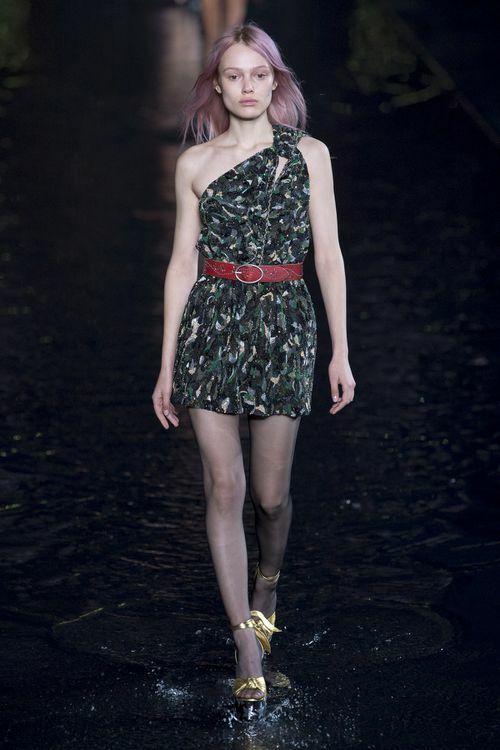 “Not to offend anyone, but I felt like Jesus Christ,” Simona says of walking down the water-filled runway. “I didn’t have that much time to think, other than just keep walking straight and if you fall, swim to the end of the catwalk!” Undoubtedly one of the most intriguing new faces of the season, we expect big things from Simona in the future. Not that she’s all about fashion. Her biggest passion? “I adore milking cows, and cows in general,” she says. They don’t say “pink hair, don’t care” for nothing! Simona wears earring (worn throughout) Raf Simons. Jacket Alexander McQueen. T-shirt Re/Done. Necklace model’s own. Hair Duffy at Streeters. Hair colourist Lena Ott for Suite Caroline. Make-up Mark Carrasquillo at Streeters using NARS. Photography assistance Henry Lopez. Digital technician Matthew Kanbergs. Styling assistance Maggie Foster and Madison Matusich. Hair assistance Lukas Tralmer. Make-up assistance Marika Aoki. Casting director Samuel Ellis Scheinman for DMCASTING. Model Simona Kust at Ford Models.